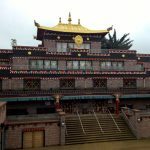 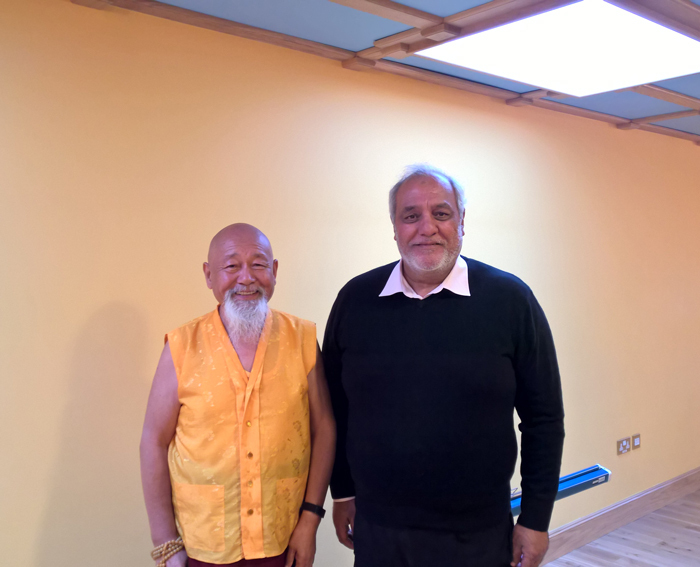 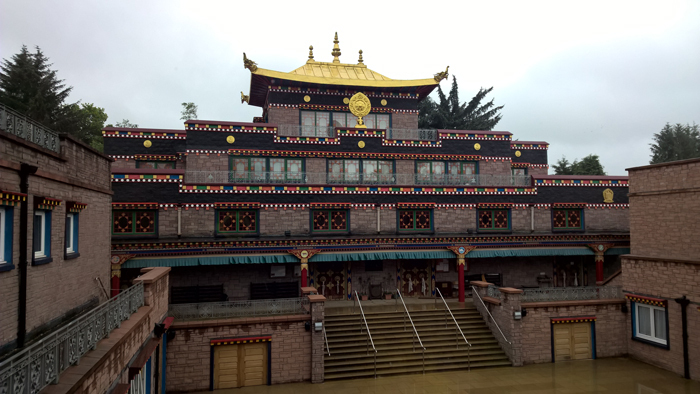 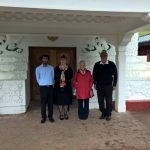 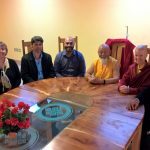 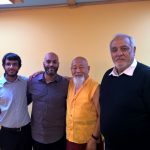 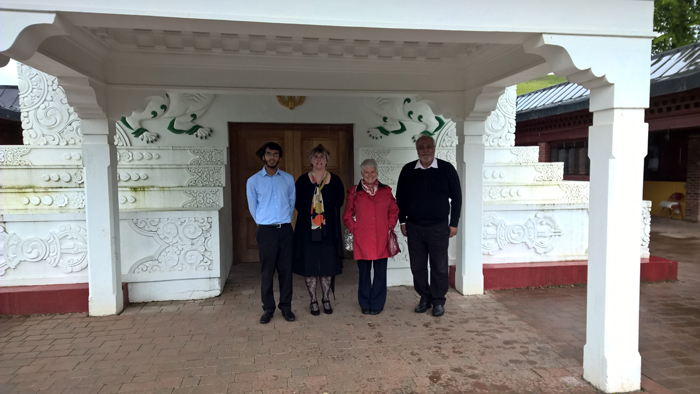 It was a privilege for The Scottish Ahlul Bayt Society’s Chairman Mr Shabir Beg, General Secretary Mr Azhar Husain and Treasurer & Executive Assistant Mr Ali Abbas Hussnain, to have met with the Tibetan Buddhists of the Kagyu Samye Ling Monastery in what was a truly historic meeting for the Tibetan Buddhist and the Shi’a Muslim communities of Scotland. 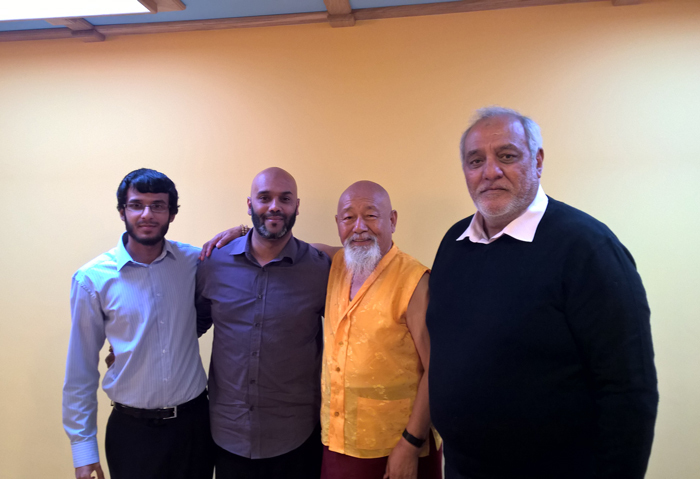 It was enlightening speaking to the venerable Lama Yeshe and sharing our common ethos of peace and goodwill. 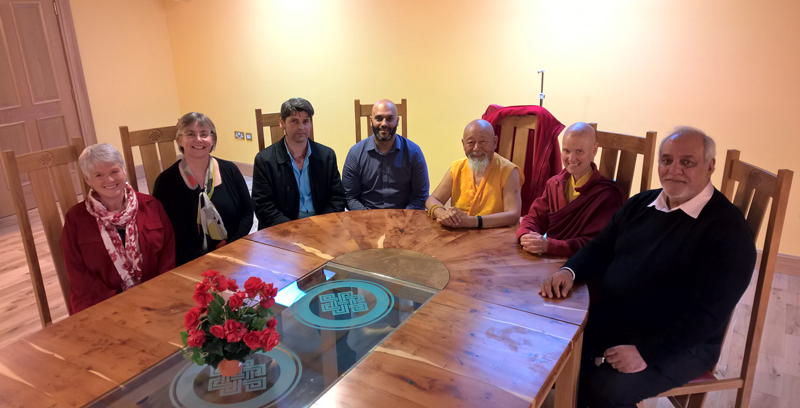 The gathering was facilitated by Maureen Sier, Director of Interfaith Scotland, to whom we owe much gratitude. 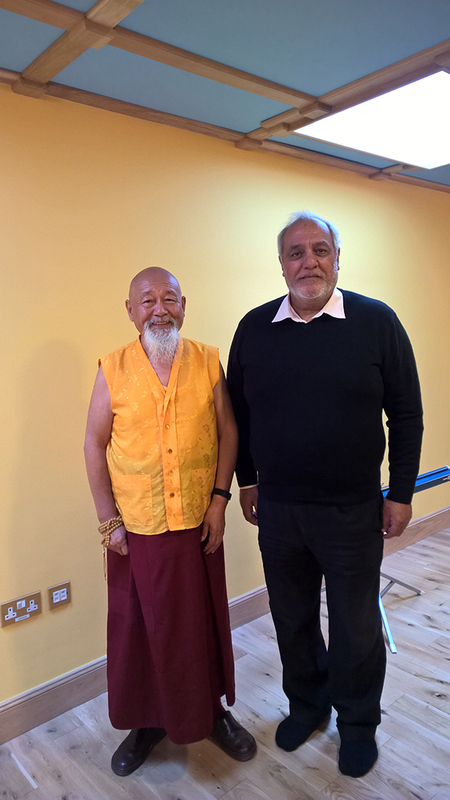 Our thanks extend to her, and the others present: Ani Lhamo who also coordinated the event and for her hospitality, Larry Blance, Chair of Interfaith Scotland, Liz Manson, Senior Manager Planning and Performance of Dumfries and Galloway Council, and of course the venerable Lama Yeshe Losal Rinpoche himself.